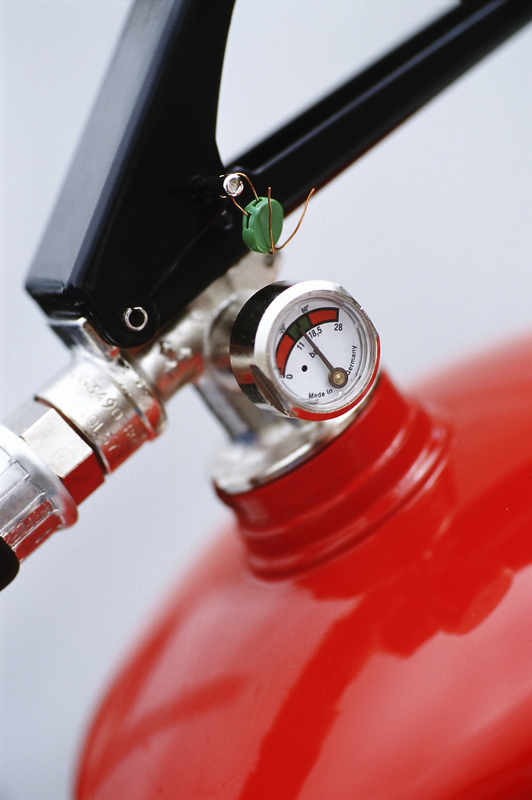 Fire extinguishers are vital to control the spread of fire in an emergency situation and are required by law to be installed in Queensland workplaces. Fire hydrants and fire hose reel systems also assist in preventing serious fires, by providing a strong jet of water to douse flames. Firprac specialise in supplying, installing and servicing a wide range of fire extinguishers, fire hydrants and hose reels for commercial businesses. Different fires require different types of extinguishers, as do different buildings and locations. We can help you select the correct fire extinguisher for your needs as well as provide evacuation and fire equipment training for your staff. Service and maintenance is required by law to ensure your fire equipment remains in working order. Fireprac’s experienced technicians provide regular 6 month tests for all extinguishers, hydrants and hose reels in accordance with the QLD development code MP6.1, Building Fire Safety Regulation 2008 and all relevant Australian Standards. You don’t have to worry about any testing, as we manage the process from start to finish. Contact Fireprac today for all your fire extinguisher, hydrant and hose reel needs. Fire and smoke detectors are the most vital pieces of fire protection equipment, as they detect the first signs of a fire and can alert you to the problem long before you would notice it otherwise. Therefore it’s essential that these systems work correctly. At Fireprac we design, install and service fire and smoke detection systems. Our detection systems can be customised to suit your specific requirements and will always be designed to meet all relevant Australian Standards. Our fire safety systems can also be maintained by our expert technicians with ease. We provide monthly testing for all fire alarm panels, sprinklers and pumps to ensure that everything is functioning properly. Contact Fireprac today to get fire detection systems for your business. Fireprac maintains fire sprinklers and fire pump sets in accordance with Australian standards 1851 to ensure your protective systems are working correctly. 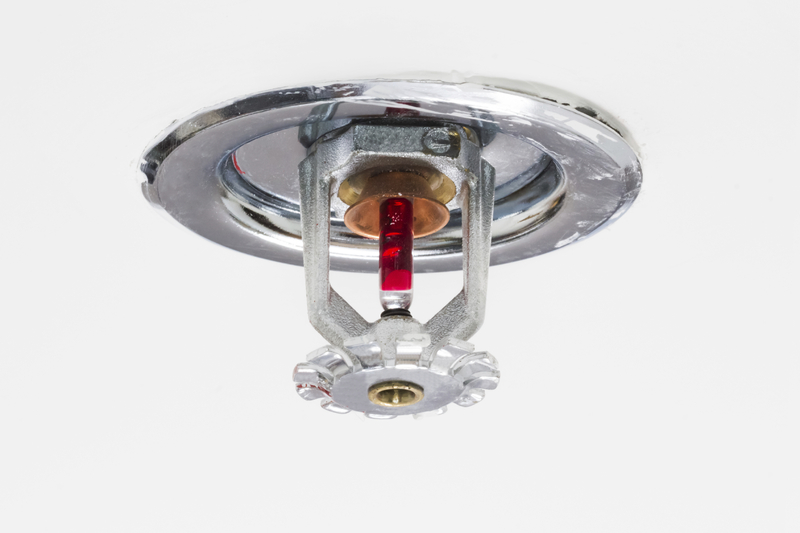 Fire sprinkler systems are one of the most effective forms of fire protection available. 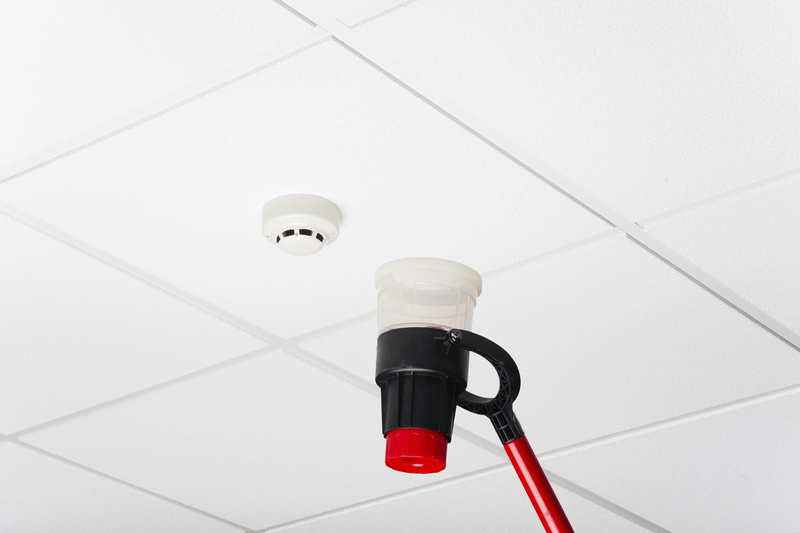 Sprinkler systems automatically operate in an event of a fire and control the fire, or prevent it from spreading. Contact Fireprac today for a fire sprinkler system. 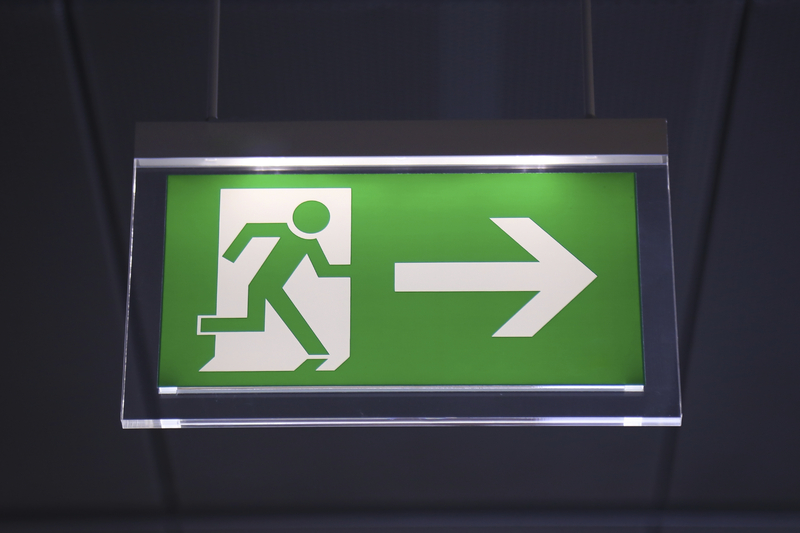 Emergency and exit lights are essential in case of an emergency in your workplace. These lights illuminate exits and ensure staff and visitors can find their way to an exit easily, even in conditions of low visibility. Fireprac can ensure you have emergency lights in all the right places to not only meet regulations but also to provide the safest workplace possible. We know where you need lights and what kind of lights you need, so you don’t have to worry about the details. Contact Fireprac today about our emergency lighting solutions. Section 30 of the Building Fire Safety Regulation 2008 states The occupier of a building must display evacuation signs and evacuation diagrams for the building and must be appropriately located on each evacuation route of the building having regard to the number and location of exits in the building. 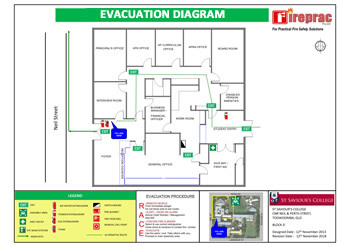 Fireprac can design and supply evacuation diagrams tailored to suit your premises.